Foxit Redact PDF Not Working? Solved! Foxit Redact PDF Not Working? Fixed! Foxit PhantomPDF Business features true redaction tools that enable you to remove visible texts and images from your PDF files permanently. The software helps protect confidential information such as email, contact, bank account details, social security numbers and more from being accidentally distributed to others. However, there might be time of Foxit redact PDF not working. Worry no more! Here are tips to help you to fix Foxit redact problems and a better alternative - PDFelement ProPDFelement Pro. PDF redaction is easier than ever with PDFelement Pro. This is a multi-purpose software for both your basic and advanced PDF document management needs. 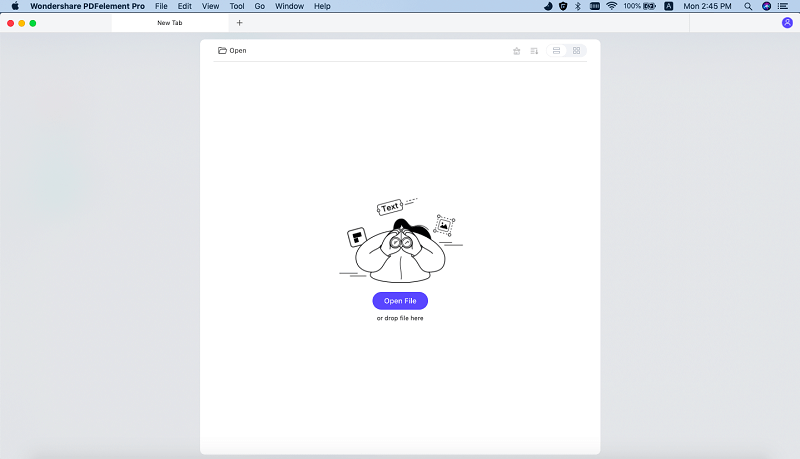 Once you have installed it on your Mac, you will be able to create, edit, convert, share, secure PDF files and do so much more. 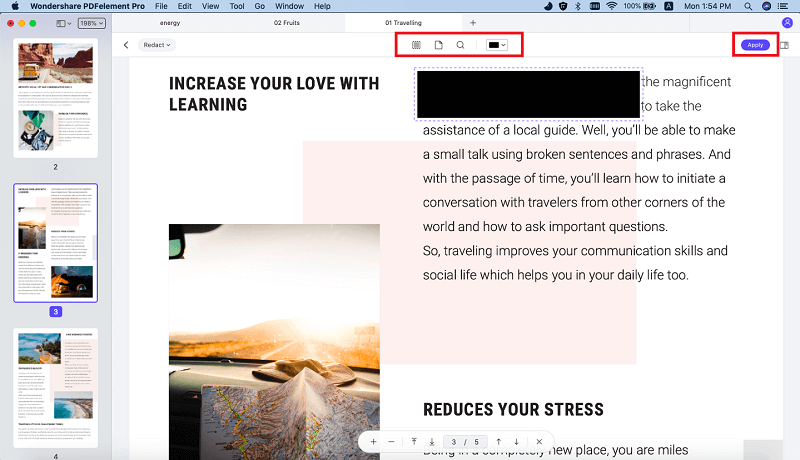 Its redaction tools allow you to remove sensitive images, texts, and pages from PDF files permanently, effectively increasing your PDF security. Your confidential information can never be viewed or retrieved by others. Create PDF files from existing PDF documents, images, webpages, EPUB and more. Edit, convert, copy or search scanned PDF documents. Convert PDF files to Word, PowerPoint, Excel, EPUB, HTML, Rich Text and more. Fill out and edit interactive and non-interactive forms. 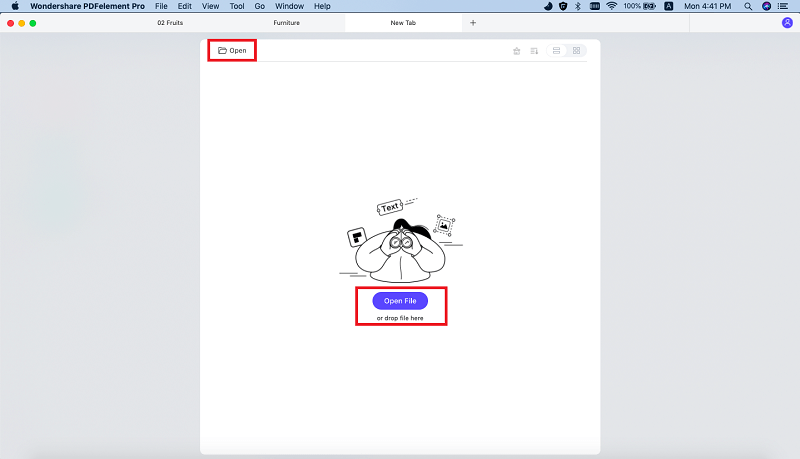 Share PDF documents through emails, Dropbox or by printing them out within the program. Once you have downloaded PDFelement Pro for Mac, install it on your Mac by dragging the "downloaded file" to "Applications" and then launch it. Click the "Open File" button from the software's primary interface. You will then be directed to the folder with your PDF files. Search for the PDF document that you want to upload to the program and then click the "Open" button. Alternatively, click on a blank space within the program and then drag and drop PDF files to the software's interface. Your documents will be automatically uploaded. Identify and click the "Redact" button. It's located on the"Protect" tab of the software's interface. And you will open the right side menu. You can customize the redaction field with texts and any color to mark redaction. And then confirm your redaction settings, right click on the redaction field and then select the "Apply Redaction" option to start redaction. Lastly, click the "OK" button that pops up after clicking the "Apply Reductions" option to confirm and start the reduction process. You might have downloaded the trial version, which allows you to access the premium features for 30 days. After the 30 day trial period, the software will no longer launch, and you won't be able to redact PDF files. Furthermore, if you purchased Foxit PhantomPDF Standard, you may not be able to redact PDF files since the feature is only available in the Business Edition. The color of the redacted area is preset to black, but you can always change it. Simply go to Edit> Redaction> Mark for Redaction and drag the texts that you would like to hide. A rectangle symbol will appear. Right-click on the rectangle then select Properties> Appearance and change the "Redacted Area Fill Color" according to your preference. Once you have set the new color, go to Edit> Redaction and click on "Apply Redaction." The latest Foxit version asks you to choose the folder that you would like to save your redacted files by default. To automatically save PDF files to source file directory, look for the older versions. If you would like to redact PDF but the software shows that the file can't be recognized, or it's corrupted, you need to get the latest version of Foxit Phantom PDF. You will then be able to remove the sensitive data from your document without disruptions. If the download speed is extremely slow, just change the CDN download server. Example if your download link is cdn 01, change it to another global cdn address such as cdn09 or cdn02, as it appears below. If you are in Southeast Asia, you can also modify cdn to cdn07. > Redact PDF > Foxit Redact PDF Not Working? Fixed!